Long before Islamic terrorists thought to hijack commercial aircraft in the United States, FBI agents were trained to collect intelligence using a category of persons known as the FBI Confidential Informant. Whether working for FBI Director J. Edgar Hoover in years past or James Comey today, in order to be rated fully successful, FBI agents are required to recruit, develop and operate at least one FBI Confidential Informant and/or Cooperating Witness collecting intelligence. 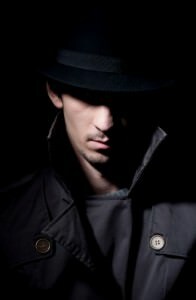 While an FBI Confidential Informant can be hard to develop, tough to monitor and even more difficult to control, most law enforcement officers know an FBI Confidential Informant can short-circuit an investigation—resulting in a suspect being arrested … sometimes just moments after a crime has been committed. In the right place, an FBI Confidential Informant can provide police and the FBI with a road map of the crime which is why on some occasions—seeking information—authorities will offer a reward wanting to solve a crime quickly because of the violence and/or property involved. But operating an FBI Confidential Informant can be extremely difficult, since most live troubled lives, are addicted to alcohol and/or drugs and/or over time frequently experience some form of adversarial contact with law enforcement. And not properly monitored, controlled and/or corroborated—left unchecked—an FBI Confidential Informant can fabricate evidence, make false statements and/or try to settle an old score, particularly if promised money and/or offered a lighter jail sentence in an effort to secure information. Seeking to streamline operations, instead of using the terms like an FBI Confidential Informant and/or Cooperating Witness, the FBI now describes these categories of persons used to collect intelligence, using the term Confidential Human Source. Directory members can be extremely helpful to individuals seeking information and/or wanting a professional opinion concerning the Government’s use of an FBI Confidential Informant, Cooperating Witness and/or Confidential Human Source. Looking for an expert, interested individuals need only use the website’s search feature, entering the appropriate skill and geographical area being sought, to locate an expert and/or investigator, and thereafter make contact—using the contact information provided.